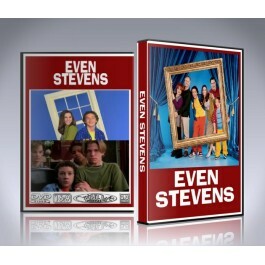 At last, the groundbreaking and funny Disney Channel cartoon Kim Possible is available on a DVD Box Set containing every episode of the show ever made from all 4 seasons, exclusively at DVDRare.com! Disney's smash hit Kim Possible is focused on the everyday life of a high school teen. Kim Possible has to find a balance with everything school related, and battling super villains on a regular basis. Of course, all heroes need a wisecracking, clumsy partner. Kim is no exception. The comic relief of the heroic duo, Ron Stoppable, is always there for Kim, though his pet and second best friend Rufus, the naked mole rat, is always there to help out the duo when the going gets rough. 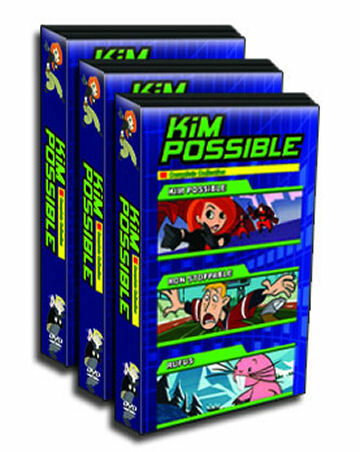 Kim Possible DVD is a box set as shown above, all 100% in chronological order from the pilot to the finale. 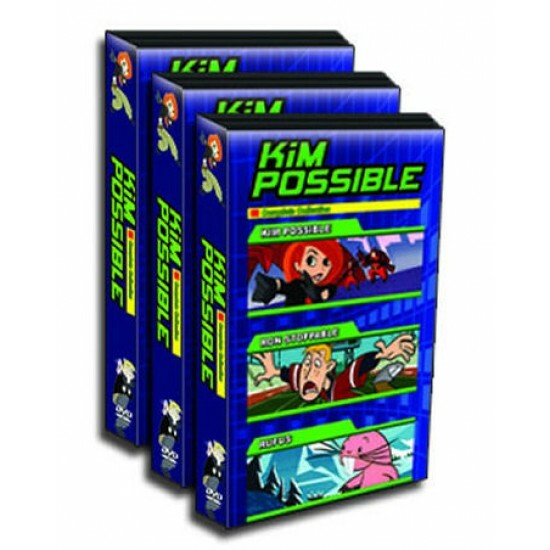 Kim Possible DVD collection also includes custom artwork and episode guides so you can find your favorite episode at anytime. Kim Possible DVD collection are formatted region free so they will play on any DVD player, DVD-ROM X-Box or PS2 Worldwide.